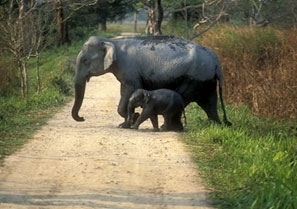 Recent government initiatives taken in the field of Indian wildlife preservation and its subsequent consequences is beginning to bear fruit Eco resources have been identified, plans chalked to prevent the exploitation of wildlife resources. Trees have been planted, sanctuaries and reserves created, and a stringent law against poaching enforced. The reasonably powerful environmentalist lobby is doing their best to encourage animal saving projects. 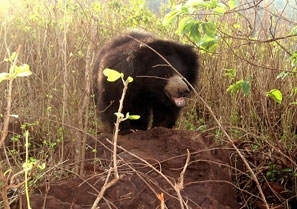 The Forest Reserves in India bear a living testimony to the helping hands that have been forwarded by the Indian environmentalists and avid animal lovers alike. Forest Reserves in India enjoy a higher degree of security than their counterparts namely the protected forests. This is because India's wildlife reserves do not allow you to hunt and graze in its precincts while Protected forests allow that, with a greater degree of restriction. 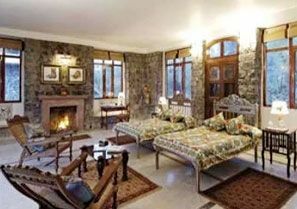 Whether it be the verdant plains of the Nandan Kanan forest reserve or the mountainous terrain of the Gulmarg Biosphere Reserve, all Forest Reserves in India, are infused with a sense of adventure. 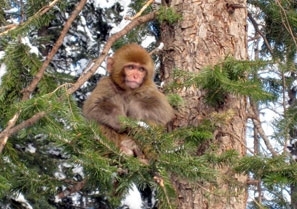 An excursion in these forests reserve can be quite interesting for animal lovers and commoners alike. 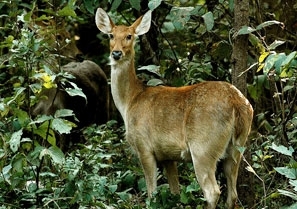 One of the fascinating parks in India, Alisagar Deer Park is located in Nizamabad in the state of Andhra Pradesh. The park is adorned with flower gardens, hillocks, lush green landscapes and man-made lake. The main attraction of this park is the varying species of deers. 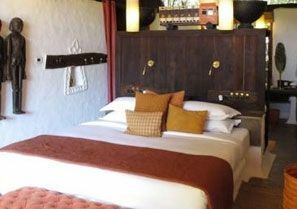 Located in Bhubaneswar, Chandaka Elephant Reserve is only one of its kind hotels in India. Home to animal species such as elephants, sambars, bears, wild dogs, pea fowls and pythons, the dense and fascinating Chandaka forest is well-known for eco-tourism activities. Spread over an area of 180 square kilometers, Gulmarg Biosphere Reserve is the natural turf of various Himalayan species such as Himalayan Musk Deer, Red Fox and Black & Brown Beer. It is also a bird watcher’s paradise. The best time for bird viewing are the months of March to May and for animal sighting is from September to March. 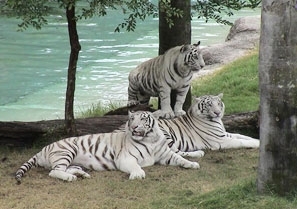 Spanned over a total area of 625 acres, Indira Gandhi Zoological Park is one of the largest zoos in India. The zoo is surrounded by lush green vegetation and abounds with a wide variety of wild species such as the Indian Tiger, Elephants, Deer and several other attractions. Located in Kalahandi, Karlapat Bhawanipatna is a famous wildlife sanctuary and a prominent tourist attraction in Orissa. 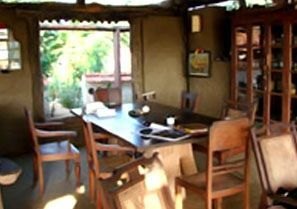 The sanctuary is home to many wildlife species such as tiger, leopard, sambar, gaur, barking deer, Nilgai, mouse deer and a wide variety of birds and reptiles. Also known as the ‘Garden of Pleasure’, Nandankanan Wildlife Sanctuary is located amidst Chandaka forests in Khurda, Orissa. 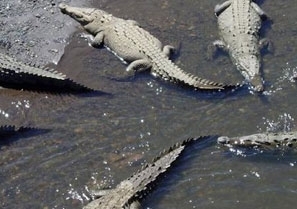 It is recognized as the very first captive gharial breeding centre of the country. Popularly known as the ‘Hyderabad Zoo’, Nehru Zoological Park is named after Pandit Jawahar Lal Nehru and opened to public in 1963. 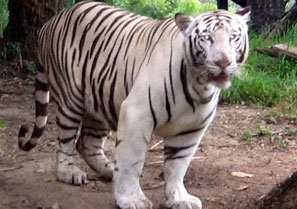 The zoo is managed by the Forest Department of the Government of Andhra Pradesh. 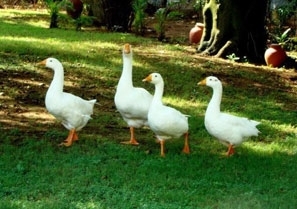 One of the most famous garden areas in Pune, Peshwe Udyan is maintained by the Pune Municipal Corporation. There are also provisions for some animal rides and boating. The Peshwe Udyan Zoo plays host to many wild animal species and reptiles. 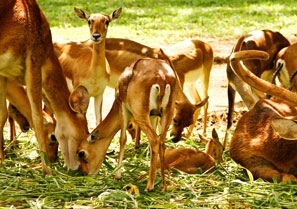 Located in Bolaram Cantonment of Hyderabad, Shamirpet Deer Park spans across an area of 54 acres. The deer park is home to the Blackbuck and the Chital Deer. 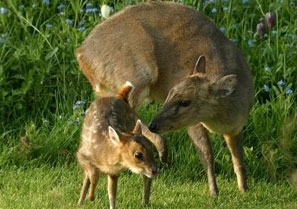 Several other species of deer can also be seen in their natural turf. One of the most fabulous vistas of river and forest, Tikarapada Reserve Forest is an ideal place for boating, angling and other adventure sports. It is considered to be one of the most enchanting spots in the world. 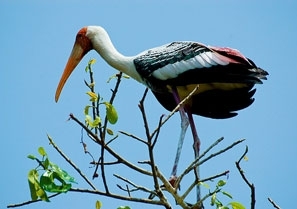 Named after the Painted Stork (Kokkare), the Kokkrebellur Village is located in Maddur Taluk of Mandya district of Karnataka. It is one of the 21 breeding sites existing in India. Besides Painted Stork, the Spotbilled Pelicans are also spotted here.